From datamined Lady Maria dialogue above you were supposed to interact with her. 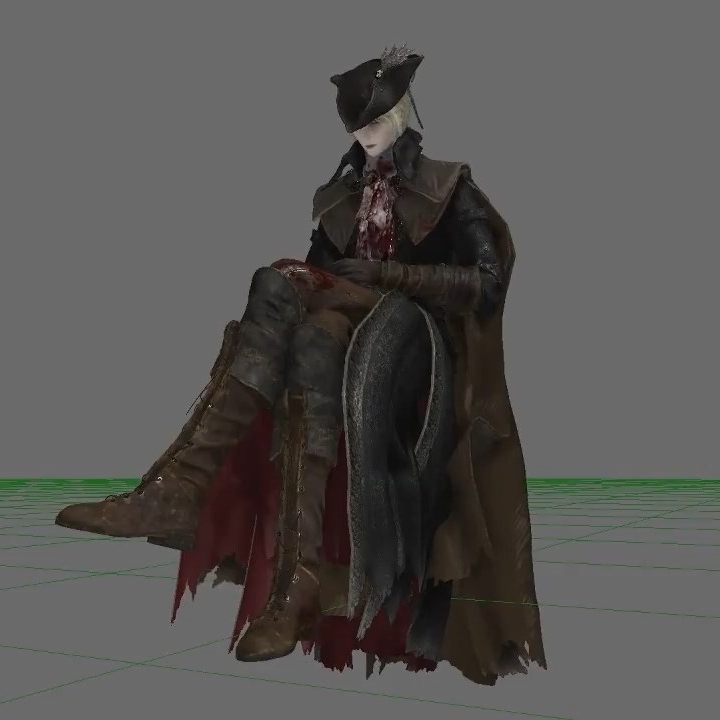 In files thanks to Gibbed and Sanadsk we can see her sitting animation without chair and sitting animation on chair as seen in the Old Hunters promotional art & trailer. 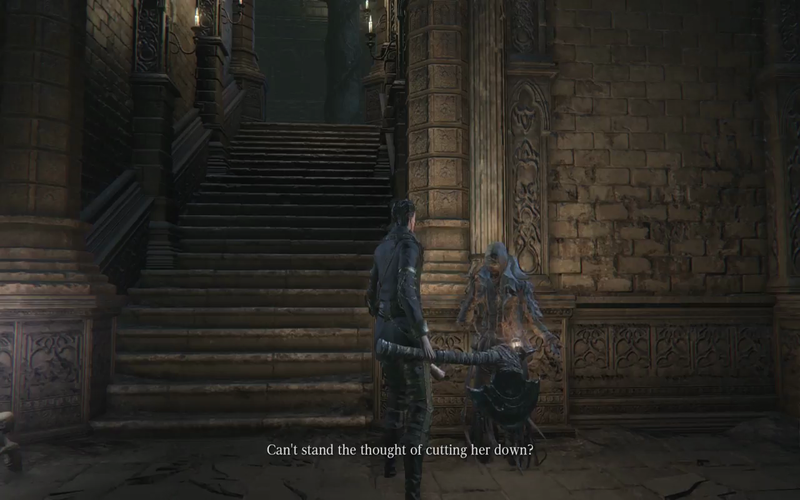 ID: c4520 & Name: WomanHumter ("HUMter" in original as well). 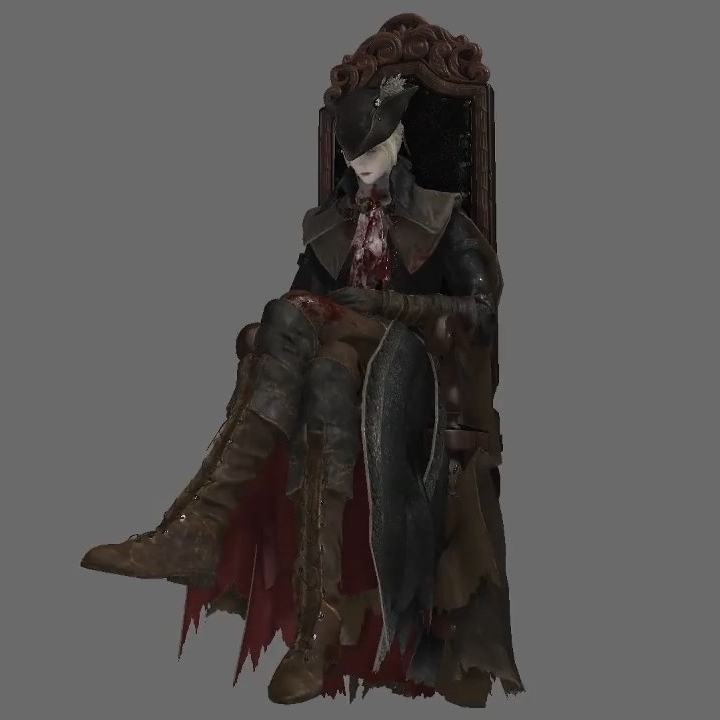 Lady Maria was originally a fully functional NPC who would interact with the player, as hinted at in The Old Hunters' promotional artwork which depicted her alive while seated in the Astral Clocktower. 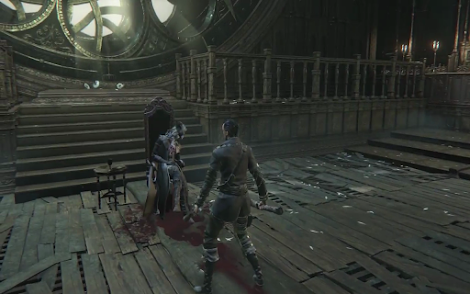 Maria's interaction with the player originally ended with her being murdered by Simon, after which she would return to life and fight the player as she does in The Old Hunters. 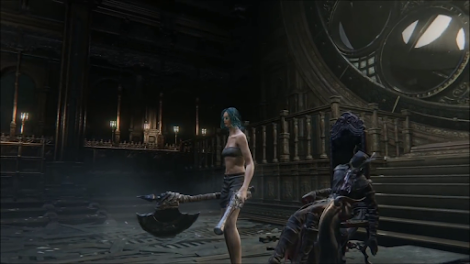 The final version skips over all the player's interaction with Maria by simply flagging her as murdered by deafult. 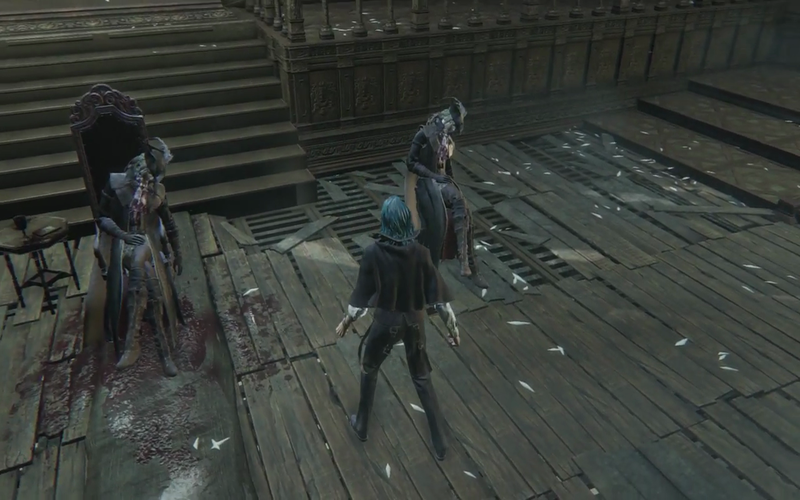 This makes it possible to restore her functionality by changing the flag. Maria had fully voiced dialogue. 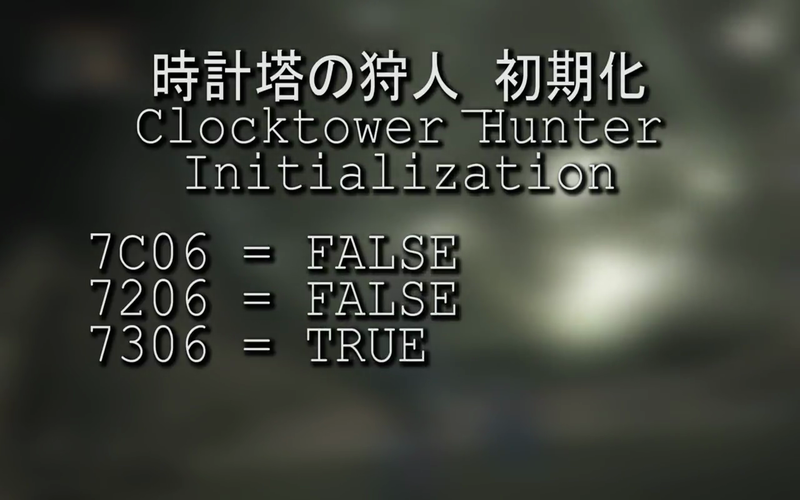 Most of the English subtitles functioned properly, but others were unfinished and displayed as "?TalkMsg?". 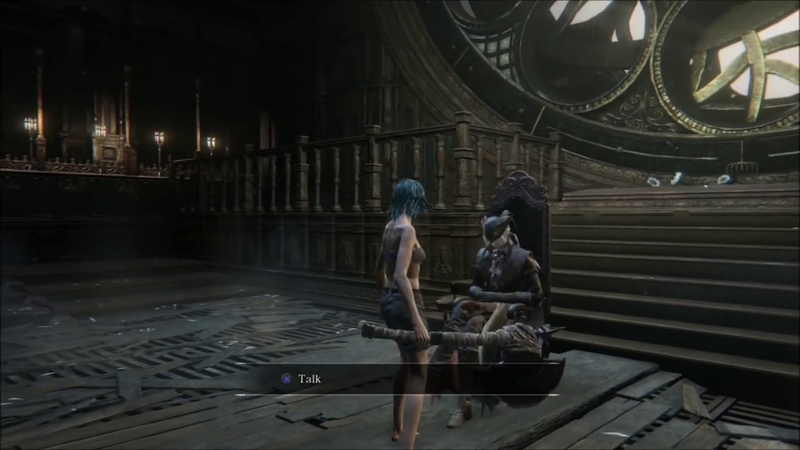 If the player left the room after having spoken to Maria, she would have been dead when they returned. The scene would then play out as it does in the finished game, with Maria grabbing the player's hand as they inspected her corpse. Maria had two different corpse poses depending on how she was killed. 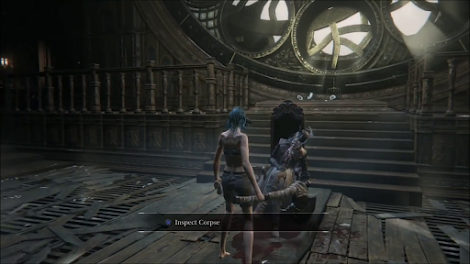 If Simon killed her (through the player leaving and reloading the room), she would adopt the pose she is found in the finished game. 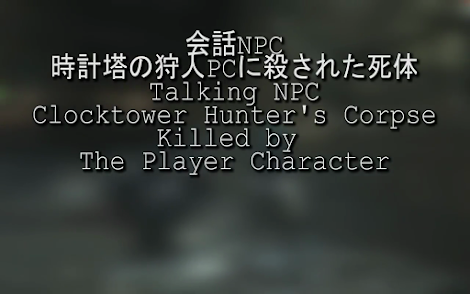 This is confirmed to be Simon by a developer note, reading "会話NPC_時計塔の狩人秘密を探る者に殺された死体" ("Conversation NPC, corpse of the clock tower hunter killed by the seeker of secrets"). 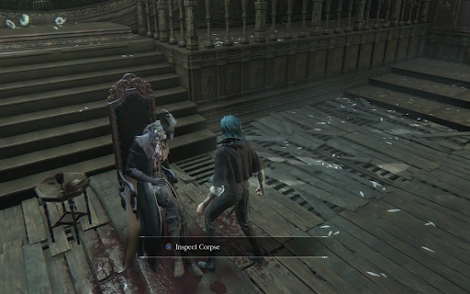 If killed by the player, her corpse would adopt a different pose which is not seen in the finished game, although in the restored version it quickly changes to the other pose when the death animation is complete. 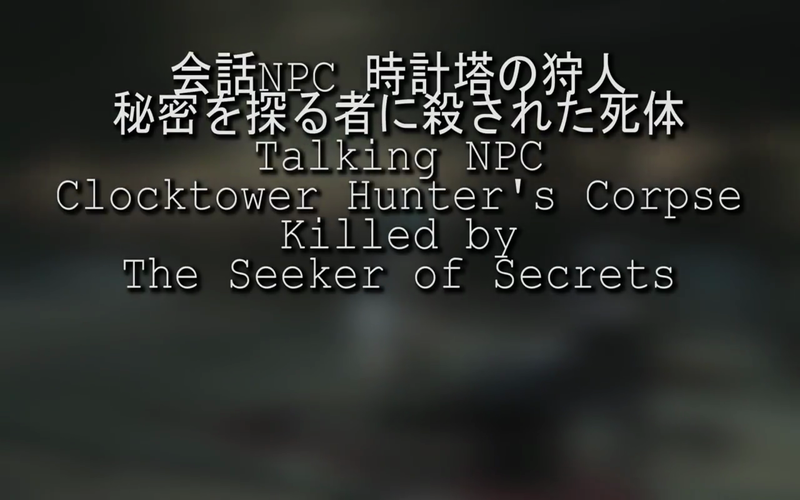 This corpse pose was referred to as "会話NPC_時計塔の狩人PCに殺された死体﻿" ("Conversation NPC, corpse of the clock tower hunter killed by the PC"). 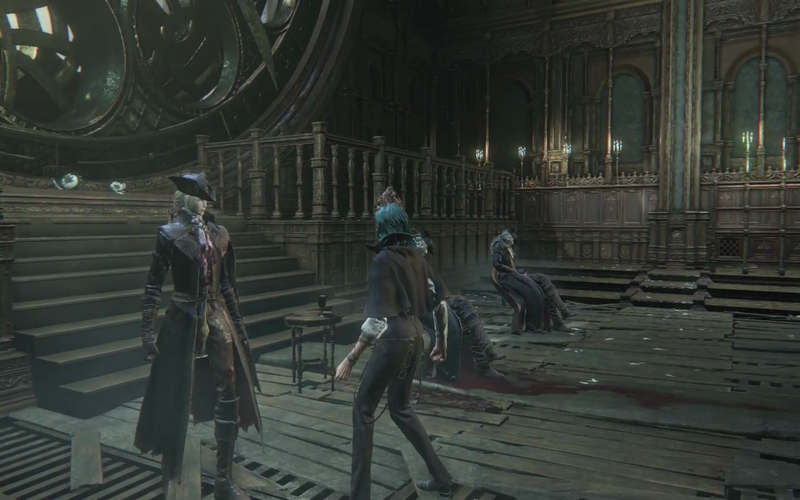 This video explains in detail the exact mechanics governing the removed The Old Hunters content in which Simon the Harrowed murders Lady Maria. 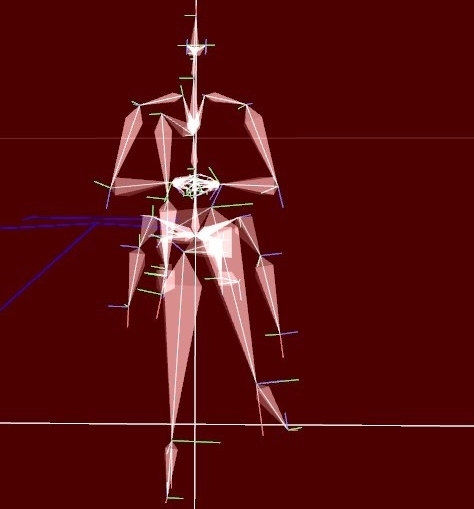 The event editing was undertaken by Lance McDonald. 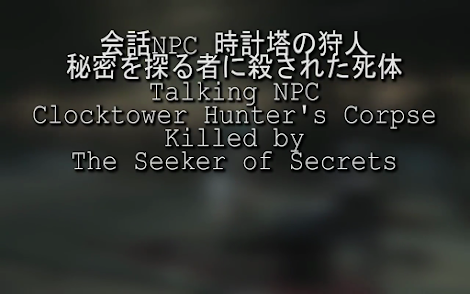 Maria's corpse, as encountered in the retail release of The Old Hunters, has a developer note attached, reading "Talking NPC Clocktower Hunter's Corpse Killed by The Seeker of Secrets". 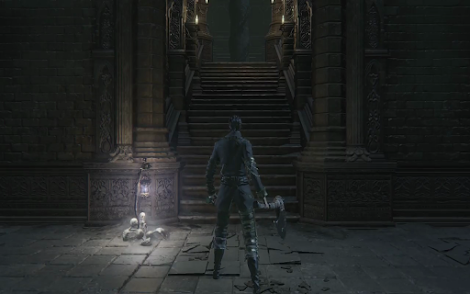 "Seeker of Secrets" refers to Simon the Harrowed, who is called this internally. Another version of Maria's corpse exists in the data. 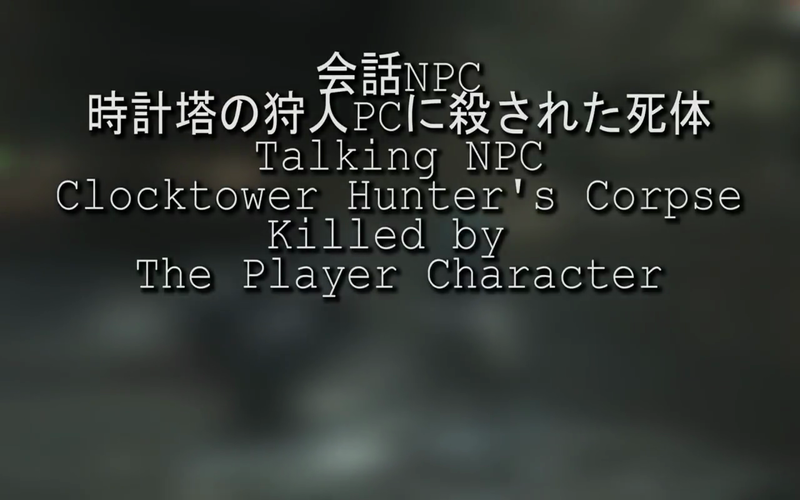 This corpse is posed slightly differently, and has a developer note attached, reading "Talking NPC Clocktower Hunter's Corpse Killed by The Player Character". A living and non-hostile Maria is loaded into the room, but made invisible and intangible. 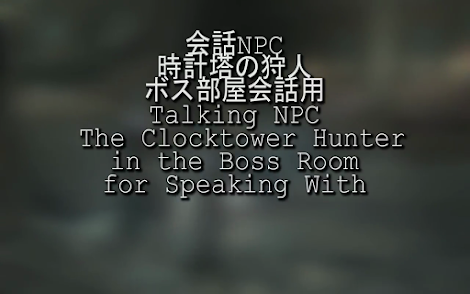 This Maria has a developer note attached, reading "Talking NPC The Clocktower Hunter in the Boss Room for Speaking With". 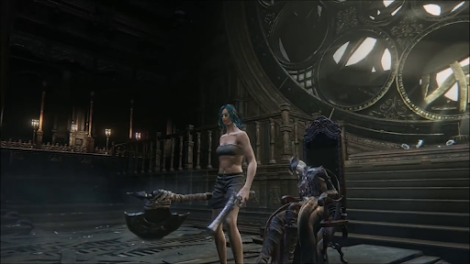 The boss version of Maria is also loaded into the room in preparation for the boss fight. 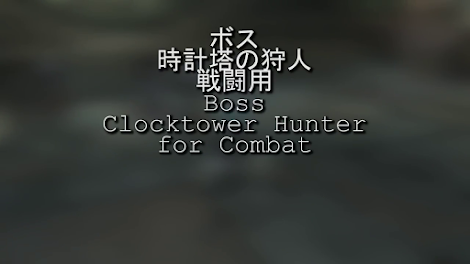 The developer note attached to her reads "Boss Clocktower Hunters for Combat". 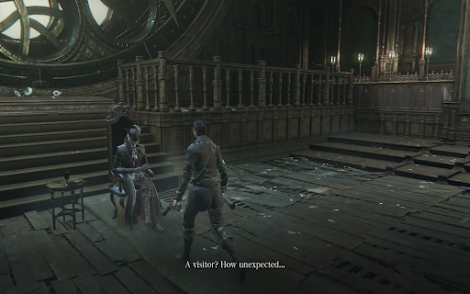 In the retail release of The Old Hunters, the interaction between Simon, Maria and the Player Character plays out as follows: The Player Character meets Simon at the base of the Research Hall, and he asks the Player Character to kill Maria. Upon reaching Maria's room at top of the Astral Clocktower, Maria is already dead, and inspecting her corpse causes her to return to life and attack the player. 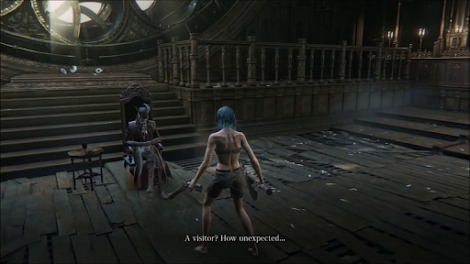 Upon defeating Maria, both her and Simon disappear from the Research Hall map entirely, and Maria leaves behind the Celestial Dial item which activates the clock. 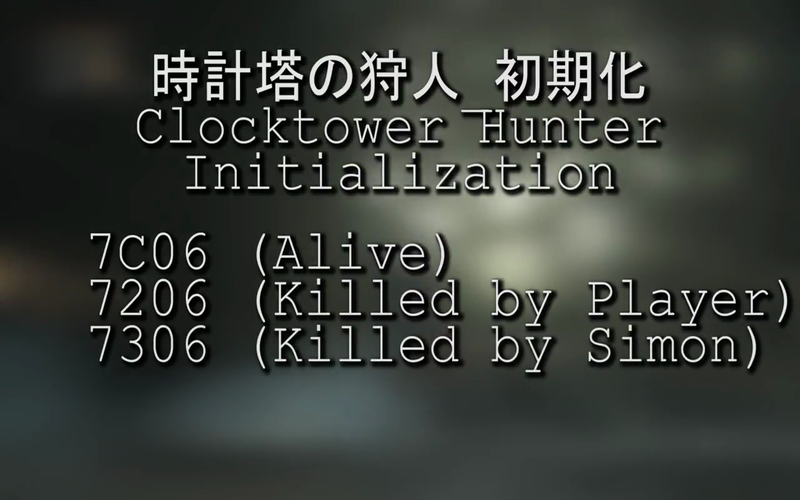 The above quest is governed by an event called "Clocktower Hunter Initialization", which checks the state of three flags related to Maria's current state: Whether she is alive, whether she has been killed by the player, or whether she has been killed by Simon. 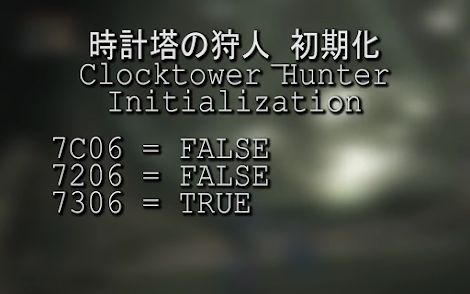 The retail release of The Old Hunters simply sets the first two flags to "False" and the third flag to "True", meaning the game considers her to have been killed by Simon by default. 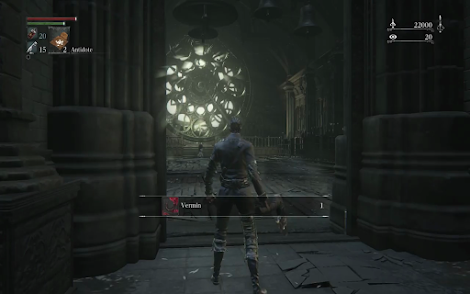 By editing the event code tied to the Vermin item, it is possible to use the Vermin to change the flags, restoring the original quest. 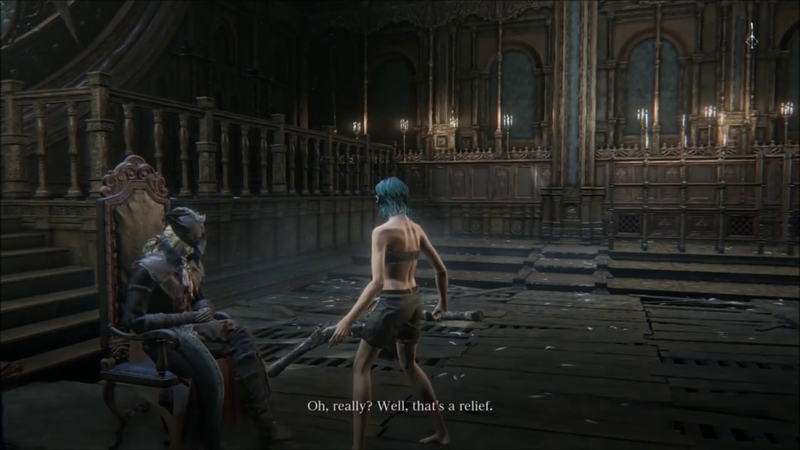 Maria is now restored. 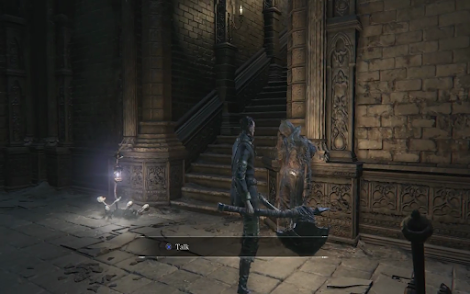 Her dialogue tree and interaction with the player are detailed in another article. Doing any damage at all to Maria will now "kill" her, causing her to slump in her chair and drop an item. 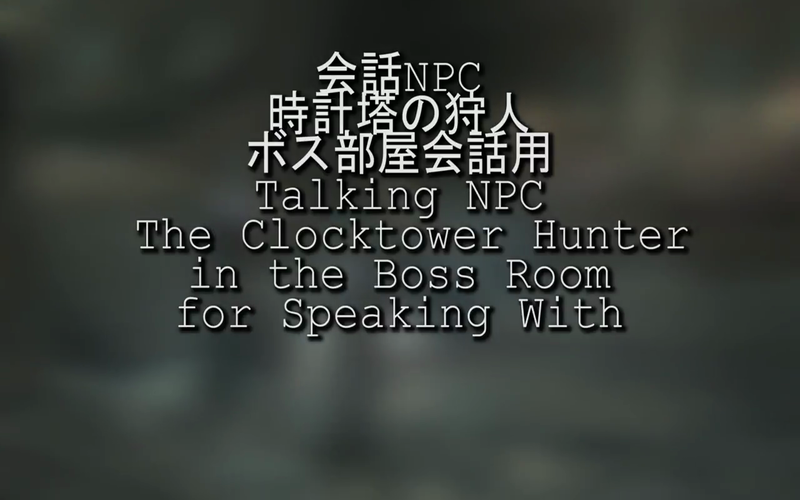 This uses the "Talking NPC Clocktower Hunter's Corpse Killed by The Player Character" corpse. If Maria is left alive and the player returns to Simon at the base of the Research Hall, Simon now chastises the player for failing to kill her, saying "Can't stand the thought of cutting her down? How poistively naive of you...". Leaving the Research Hall and then returning makes Simon vanish and Maria die. Here Maria's corpse uses the "Talking NPC Clocktower Hunter's Corpse Killed by The Seeker of Secrets" model. 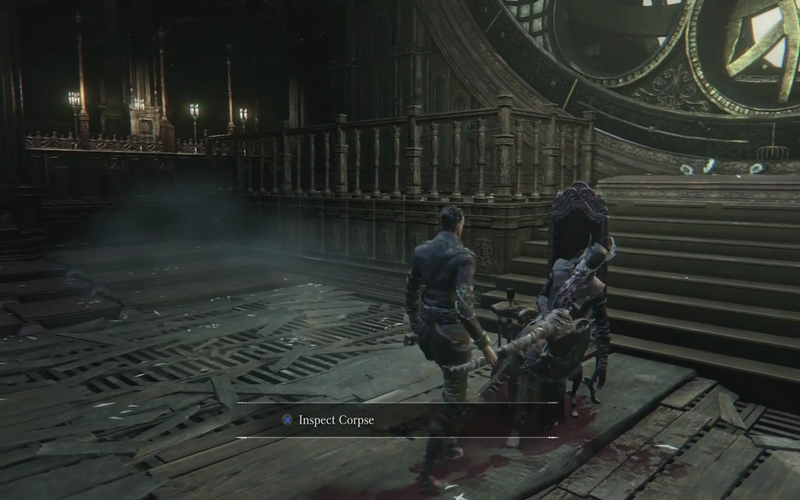 Inspecting the corpse causes the boss fight to begin as it does in the retail release. Then the secrets of the Church have been laid bare. 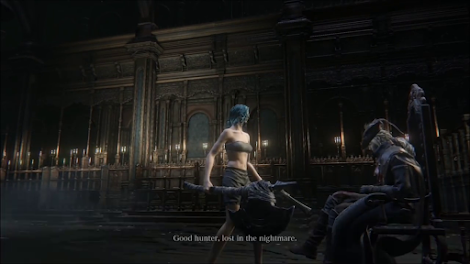 Good hunter, lost in the nightmare. What did you think? Of that beastly legend, and those ailing wards of the Church. It's not your fault. The nightmare held them, and now they are free. 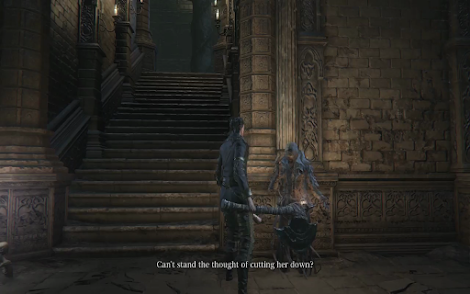 But, what about you? 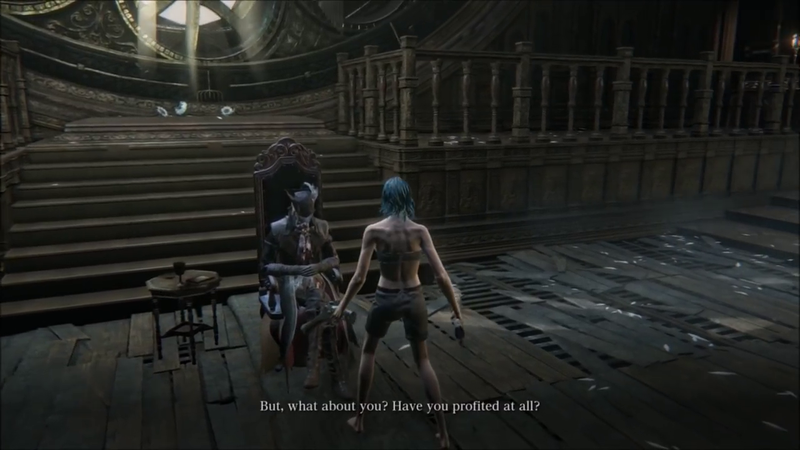 Have you profited at all? 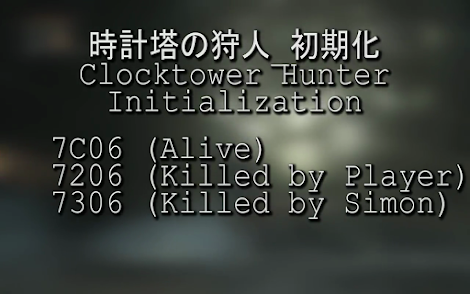 There were then two prompts, both of which were unfinished and read "?ActionEventInfo?". 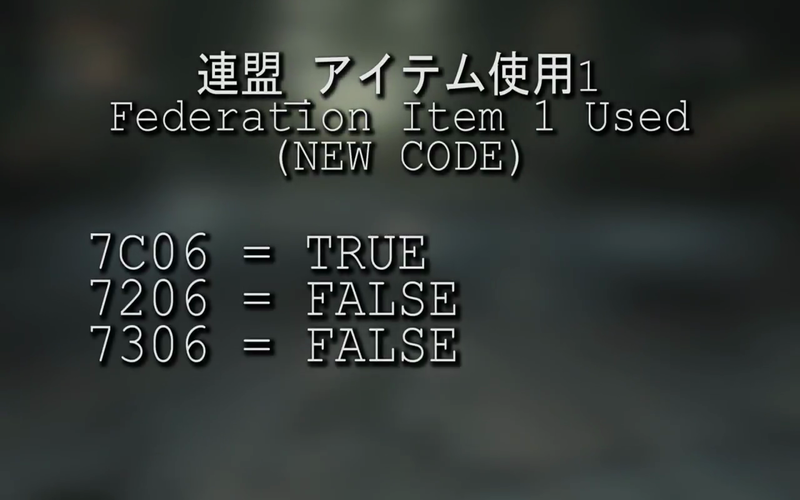 They appear to correspond to "Yes" and "No". 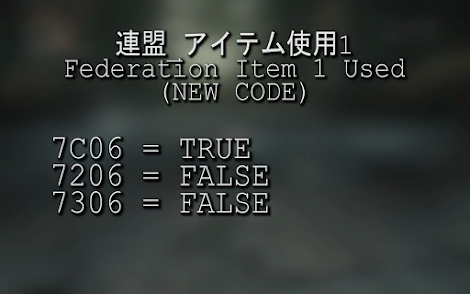 Oh, really? 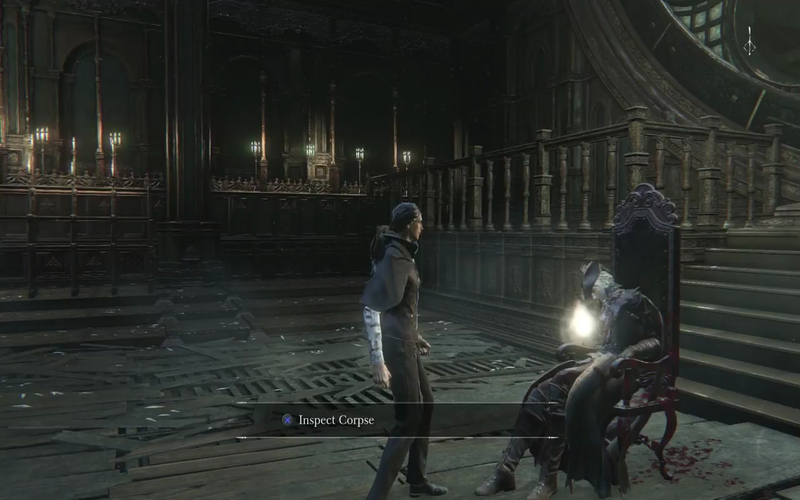 Well, that's a relief. 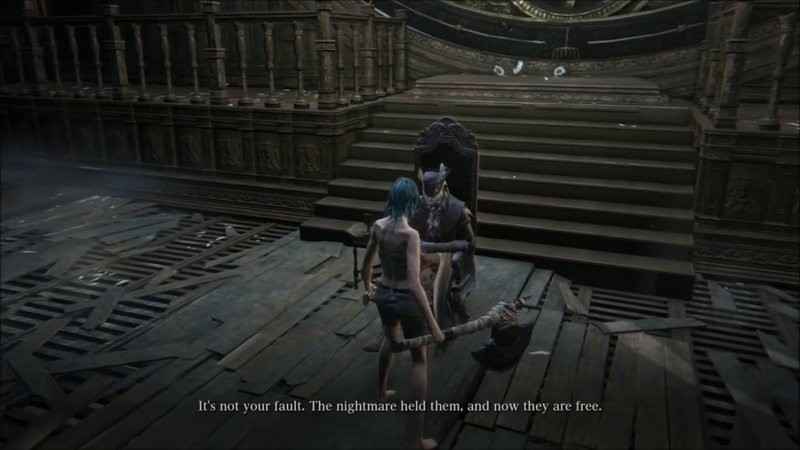 Now you can leave this Nightmare. You will not find your enemies here. Take the relics in this room as your parting prize. Let them be your strength. 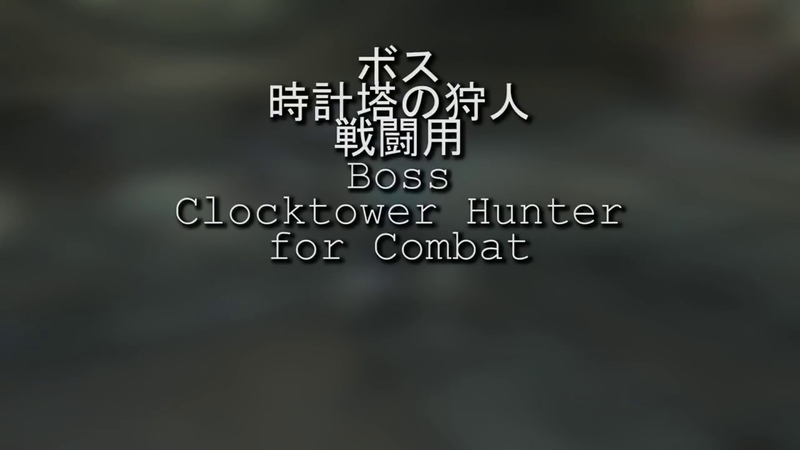 And return to your hunt, good hunter. 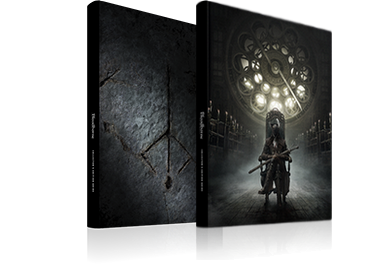 Nightmares and secrets... 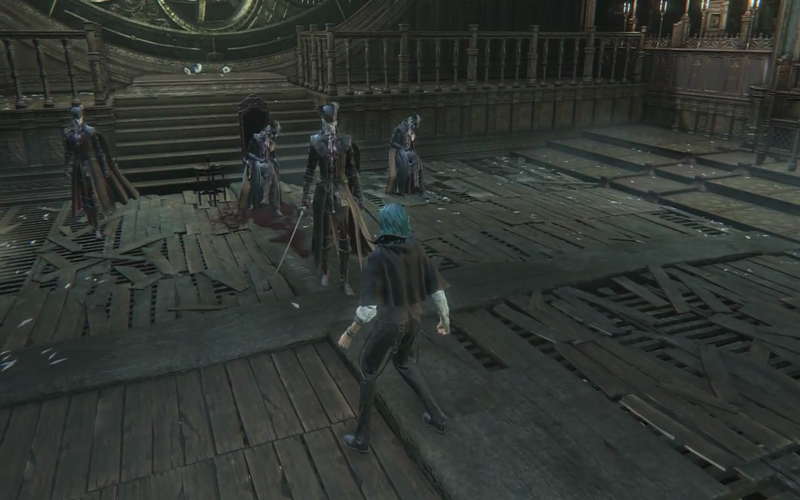 They'll only get you sofar. What's wrong, my hunter? 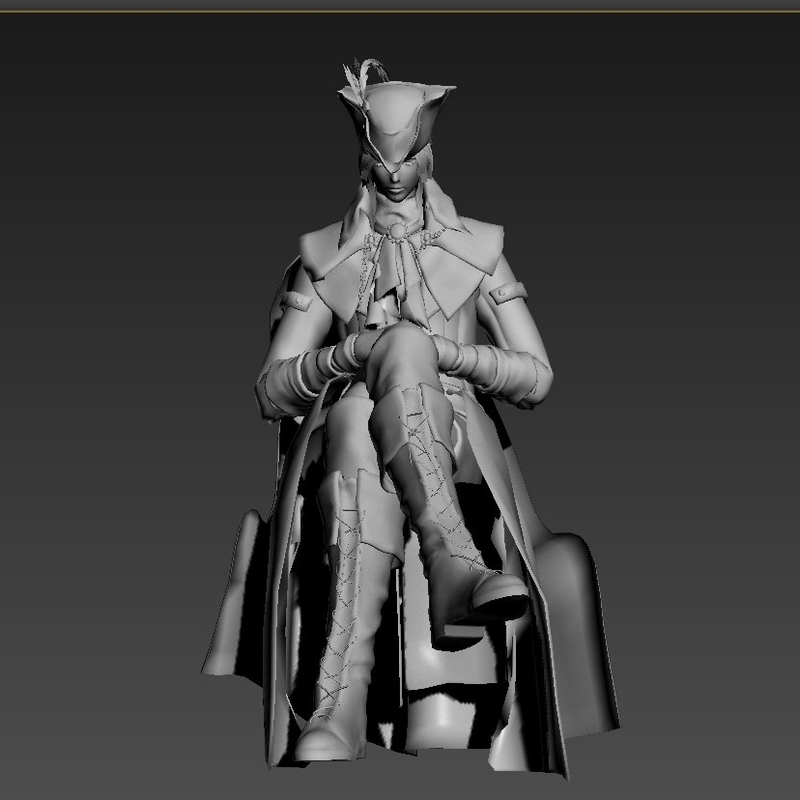 Don't you hear the hunt calling? 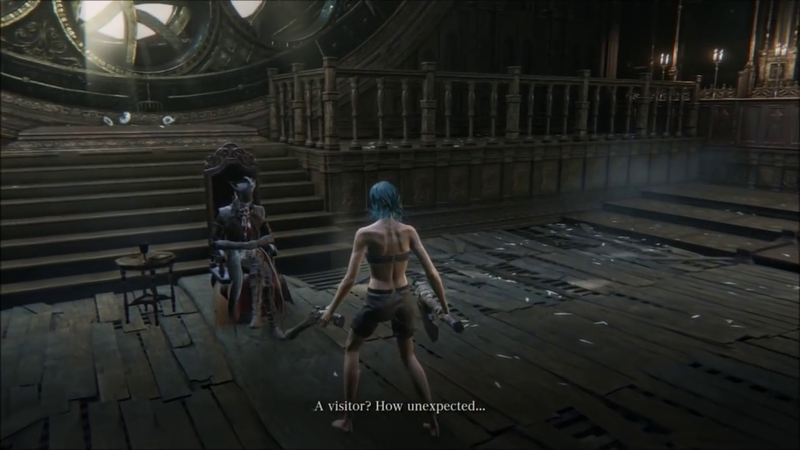 Or do you wish to tease something more from the depths of this nightmare? Hmm, look at you. 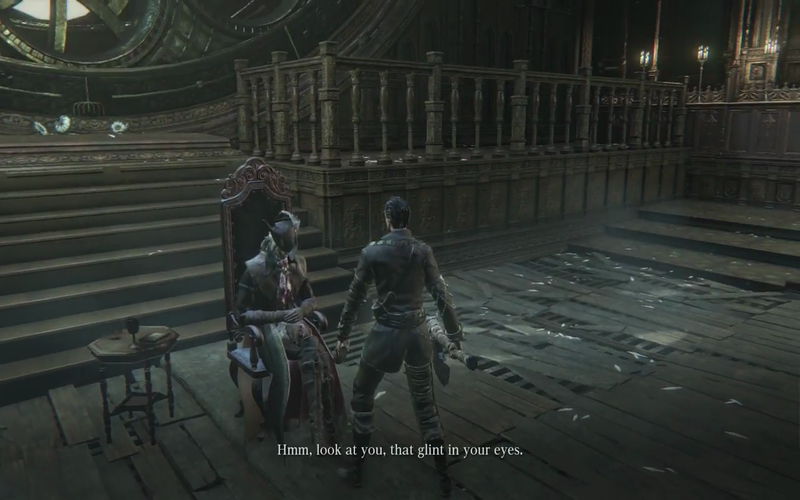 That glint in your eyes.